As the budget stalemate in Washington drags on the consequences and impacts are becoming clearer and increasingly disturbing. Without any justification, the Administration has closed 25 percent of the federal government and among the casualties are agencies with the responsibility for financing affordable housing, clean drinking water, and community opportunity. Below is a compilation of information supplied by NRHC members on the impact of the shutdown on rural housing efforts in their states and communities. Fahe – working in Appalachia — reports that they are currently holding on 424 loans, across 18 states, in the 502 Direct pipeline that either cannot be submitted to USDA or are sitting idle at USDA. Fahe reports that 15 second mortgages that are operating on a funding timeline tied to 502 Direct loans that are held up now as well. Rural Community Assistance Corporation (RCAC) reports that the organization has already accumulated 15-20 Section 502 home ownership loan applications from the packaging program in Alaska, Colorado, Oregon, and Washington that are awaiting submission. In California, Self-Help Enterprises reports 18 families have been impacted and a total loan obligation of $3.3 million. In Oregon, NeighborWorks Umpqua reports that 7 families are waiting for a loan specialist to issue a Certificate of Eligibility (COE) so they can go shopping. In Oregon, NeighborWorks Umpqua reports that 4 families in contract cannot close their section 502 loans, have their inspections reviewed, or appraisal ordered. In Delaware, Milford Housing Development Corporation (MHDC) reports that the organization has 3 Direct clients under construction that may be paused. 2 clients will have plans and specs submitted soon so they can go to closing. PathStone reports that 2 first time homebuyers, from New York and Pennsylvania respectively, were scheduled to close of 502 mortgages in early January and both deals are now in jeopardy. In Washington, Catholic Charities Housing Services (CCHS) reports a halt to 502 loan underwriting resulting in 2 week delay and counting for a group of 7 families (523 program/502 loans) which impacts CCHS performance measurements on the 523 program. In Kentucky, Frontier Housing reports that the organization has 7 Section 502 Direct homebuyers whose loans are on hold because of the shutdown. One homebuyer has a house under contract, and is waiting for RD’s sign-off. If the shutdown drags on too much longer, the buyer runs the risk of the seller walking away from the deal. In New Mexico, Tierra del Sol Housing Corporation reports that 16 families have been delayed in receiving or getting approval for their 502 Loans. In New Mexico, Tierra del Sol Housing Corporation reports construction delays due to lack of mortgage funds for 9 projects with 502 funding. In Missouri, Tierra del Sol Housing Corporation reports that that 3 Section 502 borrowers received letters from Centralized Services Center (CSC) in St. Louis that show their insurance has not been paid and CSC will provide forced insurance coverage if not paid by a specific date to prevent any lapse of coverage on the home financed by RD. In California, Coachella Valley Housing Coalition has heard from 12 families that have had difficulty dealing with Centralized Services Center (CSC) in regards to their insurance that has not been paid, inability to make payments, and reporting tax information. In California, Coachella Valley Housing Coalition has heard from 5 families that were unable to make USDA loan house payments through automated system. In Oklahoma, Deep Fork Community Action Foundation, Inc. reports that 3 applicants are delayed in receiving 502 loans. In Oklahoma, Deep Fork Community Action Foundation, Inc. reports that 5 applicants have construction delays due to lack of funds and 2 from lack of inspectors. NeighborWorks America reports no RHS staff available to discuss coordinating 502 Direct loan packaging trainings, as an example, nor available to design pilots for rural housing rehab. Fahe reports that they have 12 Section 502 Guaranteed loans in a holding pattern. In California, Peoples’ Self Help Housing (PSHHC) reports that the first construction billing for one new construction USDA Section 514 project will likely occur in January. If the USDA inspector cannot approve the payment request, then PSHH will be forced to advance payments to the subcontractors to remain on schedule. The subs payments will be due on February 18, 2019, so it is likely PSHHC could obtain approval prior to that date. In California, PSHHC reports that the organization has 10 new constructions slated to start in February that are now delayed. In California, PSHHC reports that the organization is about to begin working with USDA on a newly completed USDA Section 514 project, to convert the construction loan to permanent financing. If the shutdown continues PSHHC could find itself having to extend the construction loan and paying more fees and interest, simply because USDA cannot finalize 514 loan documents. In Oregon, NeighborWorks Umpqua reports that 1 family is going to return their loan docs to USDA but no one will be there to receive it and there will no funds to start construction. In Washington, Office of Rural Farmworker Housing (ORFH) reports that the organization is awaiting final approval of a relatively minor architectural change on new farm worker housing. In Washington, Office of Rural Farmworker Housing (ORFH) reports that the organization cannot close two construction contracts covering the rehabilitation of 515 units because RD staff are not available to sign off on it. Among other impacts is a delay of payment to the contractor. In California, Coachella Valley Housing Coalition (CVHC) reports that the organization took a draw before the shutdown for the 80+ houses CVHC has in various stages of construction. However, if the shutdown goes on longer, CVHC may not have the funds to buy the next round of materials and will have to shut down construction for those families. Assuming that USDA will continue to accrue interest on their 502 construction loans so their costs will go up. In California, CVHC reports that the organization has in escrow for 64 lots in the town of Imperial and had families ready to be submitted to USDA for the first group to begin building on those lots. With the closure, CVHC will not be able to qualify those families and close their loans to begin construction. In California, PSHHC reports that the construction starts for 10 families slated to start in February will be delayed. In California, PSHHC will have to advance funds to pay contractors to remain on schedule for completion of 29 self-help homes. The advance could be in excess of $300,000 per the December costs. The advance will likely be extended for at least 30 days if the shutdown ends as scheduled. In Hawaii, Self-Help Housing Corporation of Hawaii (SHHCH) reports that the organization is unable to get 13 loans closed, and start construction with the Pokai Bay Team 4 Project. In Delaware, Milford Housing Development Corporation (MHDC) reports that the organization has 17 homes under construction. 4 of those families are running low on their SH Construction loan funds. MHDC will need to pause their construction. The other families have some money but those funds will dwindle as we then concentrate on those homes with the others paused. In Delaware, MHDC reports that the organization has 3 files at USDA preparing to close but can’t and 6 files at USDA that can’t be reviewed for eligibility if no one is there. In Utah, Mountainlands Community Housing Trust reports that Section 523 Mutual Self Help Housing Grants are not being processed. In Washington, Catholic Charities Housing Services (CCHS) reports that projects involving 5 families have no availability of funding to pay subcontractors for current construction – forcing CCHS to go out of pocket to pay these invoices to help small business owners make payroll. In Washington, CCHS reports no availability of funding for quarterly 523 grant reimbursement which further constrains agency cash flows as CCHS is waiting on reimbursement of expenditures. In Alaska, Rural Alaska Community Action Program reports 10 impacted families. In Kentucky, Frontier Housing reports that the organization has its first self-help build group that is about to start construction, and only 2 of the 5 homebuyers will have USDA financing. Frontier Housing is weighing whether or not to start construction and retain ownership of all the lots, or wait for USDA to be available to close their loans. If construction start, and then subsequently In Arkansas, financing, which may include Frontier carrying some of the mortgages ourselves. In Arkansas, 43 families have been impacted with homes are under construction but payments to contractors and vendors are delayed, USDA certifications are on hold, and certified cannot have surveys ordered due to USDA employees not being available to sign checks or order surveys. In New Mexico, Grantee is waiting on final inspection for 3 participants. In Oklahoma, 10 families have been impacted. Grantee has one family ready for a final inspection, one waiting on loan certification, and four waiting on loan processing in order to close the loan. Grantee has four homes under construction but contractors and vendors payments are delayed due to no USDA employees available to sign checks. Another five certified families are looking for land but surveys cannot be ordered due to no USDA employees available to order them and one application for certification at USDA that cannot move forward. In New York, PathStone reports that rental assistance for farm labor housing will be a major problem later in January if USDA doesn’t come up with a stop gap measure for getting that paid out. In Washington, CCHS reports that if rental assistance is not available, then it will significantly impact the organization’s ability to pay vendors in a timely manner. In California, Self-Help Enterprises reports the organization has 315 units of 514 housing that have rental assistance. A conservative estimate is that the 521 RA payments each month are at least $100,000 in aggregate are at risk. In Kentucky, Housing Development Alliance reports 1 home repair delay for an elderly lady who is line to get a 504 grant because she has no functioning heat system. Her application is on hold so she goes without heat. In Kentucky, Frontier Housing reports that the organization is working with 1 elderly and disabled homeowner whose 504 grant/loan deal is on hold. Her roof leaks, and that has damaged the attic insulation, drywall on the ceiling, and her floors. Frontier is currently looking at what they can do to help at least make her home dry, while she waits for USDA to fund the whole project. In Hawaii, Self-Help Housing Corporation of Hawaii (SHHCH) reports that if the shutdown lasts more than a month, SHHCH will have to take out an operating loan to make payroll since no Section 523 grant draws will be forthcoming. An extended delay would also impact their ability to attain construction draws; thereby affecting future deliveries of material. In Kentucky, Housing Development Alliance reports the organization was supposed to sell two houses next week. That will not happen now. That mean two families not only have to wait on their home, but also either convince their landlords to let the stay in the current home a little longer or find temporary housing. In California, Peoples’ Self Help Housing (PSHHC) reports that the organization will not receive 523 grant funds which run about $60,000 per month. In Kentucky, Frontier Housing reports that the organization closed on its 523 grant in mid-December and now has to decide whether to press forward with the self-help program, or wait until Frontier can draw 523 funds. If they go ahead, Frontier risks incurring staff and admin costs without being able to draw on the 523 grant. In California, Self-Help Enterprises is depending on a 523 Grant draw of approximately $200,000 for February. In Oklahoma, Deep Fork Community Action Foundation, Inc. reports they are not able to get checks signed to pay contractors or to order draws for the Homeowners before the Gov’t shut down. Washington, D.C. -- October 1, 2018 -- On Friday, the House of Representatives adjourned to focus on the midterm elections, while the Senate stays behind to continue working on nominations. The National Rural Housing Coalition (NRHC) lamented Congress’ inability to work out issues in H.R. 6147, which includes U.S. Department of Agriculture funding, as well as Interior, Treasury, Transportation and HUD. While the unresolved issues did not involve USDA Rural Housing appropriations, it still leaves funding up in the air for these important programs until at least mid-November. However, the Coalition was pleased with a new Senate bill proposing the single largest investment in rural housing programs, which was introduced last week by Senator Elizabeth Warren (D-MA). The rental housing financed by USDA, mostly through its Section 515 Rural Rental Housing program, is often the only affordable housing in small towns and farming communities. According to a 2016 USDA report, the cost to preserve and maintain this portfolio of some 450,000 units over 20 years totals $5.6 billion. The majority of residents at these developments are low income and most are elderly households. The Wall Street Journal reported on this very issue in May. In an article titled, “Rural America Has Jobs. Now It Just Needs Housing,” the author noted that due to a lack of housing in rural areas, employers with available jobs could not find workers because they had no suitable place to live. Analysis from the Housing Assistance Council of 2010 Census data further validates this assertion. That data revealed that only 25 million housing units are located in rural and small communities of the approximately 116 million occupied housing units available in the United States. In addition, 1.5 million of these homes are considered either moderately or severely substandard. Although most Americans take indoor plumbing and potable water at the tap for granted, it is unavailable to the 4 percent of rural occupied units. On the matter of housing affordability in rural communities, a recent report by the Harvard Joint Center for Housing Studies found that 5 million households of rural renters are cost-burdened, meaning that renters pay more than 30 percent of their income for housing costs. In fact, 21 percent (2.1 million households) of rural households that rent pay more than 50 percent of income for housing. NRHC notes that rural housing is not without its advocates in Congress. Republican-passed Appropriations bills have largely ignored the Administration’s proposals to decrease rural housing funding. Further, this week, Senator Elizabeth Warren (D-MA) introduced the American Housing and Economic Mobility Act of 2018. The legislation responds to the lack of affordable housing in America and includes provisions to increase funding for the rural housing programs administered USDA. Reps. Sean Duffy (R-WI), Hal Rogers (R-KY) and Jim Costa (D-CA) have argued to support these federal rural housing programs through the annual appropriations process. For more information about rural housing and community development, please visit the National Rural Housing Coalition’s webpage. NRHC is a national membership organization of non-profit housing organizations, housing developers, state and local officials, and housing advocates. Since 1969, NRHC has promoted and defended the principle that rural people have the right—regardless of income—to a decent, affordable place to live, clean drinking water, and basic community services. Shortages of affordable, low-income housing are reaching crisis proportions in some parts of the U.S.
Plantation Apartments in Richmond Hill, Ga. New York finance firm Greystone & Co. has teamed up with federal and state agencies in Georgia to preserve 1,310 low-income rental apartments built in the 1970s and 1980s by the Agriculture Department for rural households. New York housing-finance firm Greystone & Co. has teamed up with federal and state agencies in a $168.6 million effort to preserve and recapitalize 1,310 low-income rental apartments in Georgia. The units, developed and managed by Atlanta-based Hallmark Cos., were built in the 1970s and 1980s through a U.S. Agriculture Department program targeting rural households. Tenants, who are required to meet income-eligibility requirements, pay about $400 to $500 a month in rent. The portfolio includes 26 properties in 17 counties. Like tens of thousands of other properties developed under federal housing programs, the Georgia homes are badly in need of repair. The deal, known as a recapitalization, provided funds for upgrades worth an average of $37,000 per unit, including such improvements as new appliances, counters, cabinets and electrical systems. The recapitalization also involved a sale of the properties and a refinancing of the debt on the portfolio. Through those actions, enough surplus capital is being raised to pay for the improvements. “Unless you do something creative, they really have no chance of being preserved,” said Tanya Eastwood, president of Greystone’s affordable-housing redevelopment unit. The sellers of the properties were the limited partners who decades ago provided equity financing to Hallmark for their development, mostly in exchange for tax credits. The new owner is a venture of Hallmark and new equity investors who also are getting returns primarily in the form of low-income-housing tax credits. The units are being preserved at a time when shortages of affordable and low-income housing are reaching crisis proportions in some parts of the country. According to a recent report by the National Low Income Housing Coalition, the U.S. has a shortage of more than 7.2 million units for “extremely low income” renter households. Much of the financing for the Georgia effort is coming from a combination of government housing and low-income assistance programs including the sale of $54.3 million in “private activity” bonds. The tax exemption on those bonds wound up on the chopping block during the debate over tax overhaul last year, but housing advocates and others were able to save them. Meantime, about $28 million of debt financing is being provided through programs run by the Rural Housing Service, an arm of the Agriculture Department that dates back to the Farmers Home Administration, which has its roots in the Great Depression. 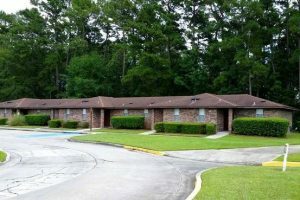 The Georgia units now being recapitalized were developed under the Section 515 rural-housing program, which was launched in 1962 originally to create low-rent housing for people over 62 years old. Today, Section 515 properties are available for low-income families and individuals as well as people with disabilities, according to an Agriculture Department spokeswoman. Since the program launched, 18,426 properties with 563,936 units were created. As of March 31, there were 13,357 properties with 407,826 units in the department’s portfolio, the spokeswoman said. No new properties were created in 2017, and no new properties are scheduled to be created this year, she said. Founded in 1988, Greystone is a real-estate lending, investment and advisory firm that is involved with a wide range of housing. The company originated $9.5 billion in commercial real-estate loans in 2017 and has a loan-servicing portfolio of $30 billion. Greystone has done about 20 deals that have recapitalized and upgraded more than 12,000 low-income-housing units with the same basic structure as the Georgia deal. “We kind of built a factory,” said Ms. Eastwood. Hallmark is an owner and manager of about 11,000 affordable-housing units, mostly in the southeast U.S.
Construction begins for seven families in Provo, Utah. Project supported by Self-Help Homes. FULL STORY: Seven families in Southern Utah are anxious to get started on what will be their new homes. A groundbreaking ceremony in LaVerkin last Wednesday turned over shovels of dirt, that will soon become a foundation. Four of the new homes will be built in LaVerkin and the other three in Toquerville. The families are part of Self-Help Homes. They all received low interest loans from the government to build each others homes. The program is growing in Southern Utah as word continues to get out. Congressmen Sean Duffy (R-WI) and Jim Costa (D-CA) are leading a Dear Colleague in support of USDA Rural Housing programs. Below, find the letter. Please join Representatives Sean Duffy and Jim Costa in sending the following letter to the House Appropriations Subcommittee on Agriculture, Rural Development, Food and Drug Administration, and Related Agencies to respectfully request adequate funding for United States Department of Agriculture (USDA) Rural Housing and water sewer programs. For example Section 502 Direct Loan Program, which has helped more than 2.1 million families realize the American Dream and build their wealth by more than $40 billion, is the only federal homeownership program that exclusively targets low- and very-low income rural families. The program provides essential funding to fill in the gap in the private market, allowing families who would otherwise be unable to access affordable mortgage credit achieve homeownership. The Section 523 Mutual Self-Help Housing program is another critical component of USDA’s Rural Housing initiatives. Self-Help Housing, which celebrated its 50 year anniversary and 50,000th family served in 2015, is the only federal program that combines “sweat equity” homeownership opportunities with technical assistance and affordable loans for some of America’s neediest rural families. Rural water –sewer loans and grants are essential for building communities. Our rural communities are in dire need of affordable, livable housing. Please join us in supporting rural districts all over the country by signing this letter. Please contact Ryan McCormack in Rep. Duffy’s office (Ryan.McCormack@mail.house.gov) or Ben Goldeen in Rep. Costa’s office (Ben.Goldeen@mail.house.gov) if you would like to sign or have further questions. As the House Appropriations Subcommittee on Agriculture, Rural Development, Food and Drug Administration, and Related Agencies considers the Fiscal Year 2019 (FY 19) Appropriations Bill, we write to respectfully request adequate funding for United States Department of Agriculture (USDA) Rural Housing Programs and Rural Water-Sewer program. Access to safe, decent, and affordable housing can transform lives. Yet, due to lower incomes and higher poverty rates, far too many rural families live in housing that is too expensive, in substandard condition, or both. According to U.S. Census data, approximately, 1.5 million rural homes—or about 5.9 percent—are in substandard condition. The poverty rate for rural areas, estimated at 18.1 percent according to the Economic Research Service, is both higher and more concentrated than the urban (15.1 percent) and national (15.5 percent) poverty rates. Overall, 82 percent of high-poverty counties—or 571 of the 703 counties with at least a 20 percent poverty rate—are rural. And, 86 percent of the nation’s “persistently poor” counties are rural, as well. Additionally, 30 percent of rural families (more than 8 million) spend more than 30 percent of their monthly gross income on housing. These households are considered “cost burdened,” and are likely to struggle to pay for other basic needs, such as health care and child care. USDA Rural Housing homeownership and rental housing programs have a proven track record of overcoming these barriers to affordable housing in rural America. By providing low-cost loans, grants, and other related assistance, these key programs have not only helped millions of rural families improve their quality of life, but have created thousands of jobs in rural America. In 2017, RHS assisted over 130,000 rural families in improving their housing conditions through home ownership loans, home repair loans and grants and rental and farmworker housing programs and provided over 468,000 units of affordable, safe rental housing. The 2013 Drinking Water Needs Assessment indicated a national need of $64.5 billion for small systems (systems that serve 3,300 or fewer persons) in the 50 states, Puerto Rico and other U.S. Territories. This represents 17.4 percent of total national need and comprises some 41,000 systems (82.8 percent of all systems) and 24 percent of the population. The need of water systems in American Indians and Alaska Native villages totals $3.3 billion. USDA’s Water and Sewer loan and grant financing program is a key component of economic development in rural America. Every water and wastewater construction dollar generates nearly $15 of private investment and adds $14 to the local property tax base. The agency boasts a portfolio of more than 18,000 active water/sewer loans, more than 19 million rural residents served, and a delinquency rate of just 0.18 percent. Fiscal Year 2017, USDA funded 736 projects serving 2.3 million people in small rural communities of 10,000 people or less. We urge the Subcommittee to support the Mutual Self-Help Program, Section 502 Direct Loans homeownership loans, rental assistance, new multi-family construction and preservation, farmworker housing as well as water sewer financing. All provide critical support to rural populations, improve rural communities and create jobs. Sean Duffy and Jim Costa. On November 28 and 29, the National Rural Housing Coalition (NRHC) convened for its Board of Directors Meeting and Annual Business Meeting in Washington, D.C. As a part of these meetings, NRHC invited officials from the U.S. Department of Agriculture (USDA) Rural Development (RD) Rural Housing Service (RHS), staff from the Federal Housing Finance Agency (FHFA), and facilitated a panel on issues facing the rural rental housing market. Attendees received a legislative update from NRHC Executive Secretary Bob Rapoza. 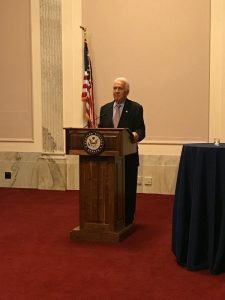 In addition, the Coalition hosted a reception on Capitol Hill, where rural housing champion Representative Jim Costa (D-CA) spoke about the importance of USDA’s housing programs for rural Americans. Assistant to the Secretary for Rural Development Anne Hazlett joined the NRHC Board for its meeting on November 28, along with several staff members from the RHS, including Acting Administrator of RHS Rich Davis; Acting Deputy Administrator for Single Family Housing Programs Cathy Glover; Direct Loan Division Director Barry Ramsey; Deputy Administrator for Multifamily Housing Joyce Allen; Finance and Loan Analyst for Multifamily Housing Preservation and Direct Loan Division Mirna Reyes-Bible. Ms. Hazlett shared her vision for RD and the rural housing programs going forward. Although she has only been in the Assistant to the Secretary role for six months, she is familiar with USDA from her time on the Senate Committee on Agriculture, Nutrition and Forestry. However, she stated that she is still coming up to speed on rural housing programs, but emphasized her view that “housing is not just a roof over someone’s head, it can be an anchor that brings stability.” Priorities for the Administration include infrastructure, building partnerships, and identifying innovative solutions to the challenges facing rural America. Each member of the RHS team also presented on their particular areas of work. Ms. Glover and the Single Family Housing staff members discussed the status of the Section 502 Direct Intermediary packaging program, Mutual Self-Help rehab for both acquisition rehab and owner-occupied rehab; and updates to their electronic filing system. November 28 was Joyce Allen’s fist day as the Deputy Administrator of Multifamily Housing programs (she had previously been the Deputy Administrator of Single-Family Housing programs). The USDA presenters also left time at the end of their session for questions and answers from the audience. This gave NRHC Board members the opportunity to seek additional information or clarification. Specifically, Ms. Hazlett was asked to address the hiring freeze, which remains in effect. She took this opportunity to emphasize the importance of innovating and evaluating. She said that they are looking at their programs to identify potential partners, like with the Section 502 Direct program. They are also evaluating how USDA RD staff in the field spend their time. On the Rural Economic Infrastructure Grant proposal, which the Coalition has expressed opposition to, Board members had the opportunity to tell Ms. Hazlett why grouping Section 504 Grants and Housing Preservation Grants is short sighted because it will reduce the availability of predictable resources for rural housing rehabilitation and preservation. NRHC was also able to recommend increasing Section 504 grants to $15,000 per grant (double the current limit). On the evening of November 28, NRHC hosted a reception on the Hill in recognition of the importance of rural housing programs. This event, which was sponsored by Senator Brian Schatz (D-HI), who led the Senate appropriations sign-on letter earlier in the year, gave NRHC members a chance to engage Hill staffers about these important programs. In addition, NRHC welcomed Representative Costa, who co-led the House Appropriations sign-on letter with Representative Sean Duffy (R-WI) in the spring. Rep. Costa, who is a champion for rural issues and rural housing programs on the Hill, discussed his appreciation for the work that NRHC member organizations do to ensure that rural families have access to safe and affordable housing. Shiv Rawal, a Policy Analyst with the Office of Housing and Community Investment at the FHFA, gave an update on the Duty to Serve Rule and the 2017 plan development process and status. Under the Housing and Economic Recovery Act of 2008, Fannie Mae and Freddie Mac have a Duty to Serve three underserved markets – manufactured housing, affordable housing preservation, and rural housing – in a safe and sound manner for residential properties that serve very low-, low-, and moderate-income families. NRHC has commented on the Duty to Serve rule several times, including the proposed rule, which was issued in December 2015 and Fannie and Freddie’s proposed Underserved market plans this summer. Mr. Rawal informed attendees that FHFA has be working with the Enterprises to update their Underserved Markets Plan incorporating both public input and FHFA feedback. The plans, which should be released any day, go in to effect on January 1, 2018. 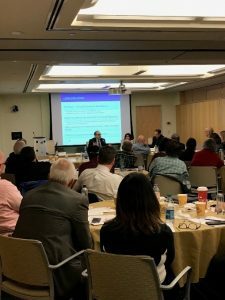 On November 29, NRHC hosted a panel featuring Tanya Eastwood, the President of Greystone Affordable Development, Richard Price, a Partner at NixonPeabody, and David Lipsetz, the Executive Director of the Housing Assistance Council (HAC) (click here for the presentations). 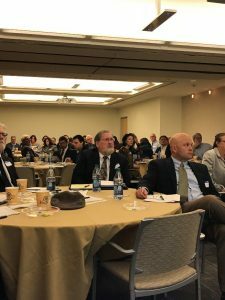 The panel also featured a review of the Coalition’s findings in the 2017 Review of Federal Rural Rental Housing Programs, Policies, and Practices. USDA rental housing is frequently the only affordable rental housing available in rural communities. The average income for tenants is $12,729 annually, many (around 44 percent) are elderly or persons with disabilities and 70.9 percent are female headed households. USDA estimates that $5.596 billion in additional funding is needed over the next 20 years to preserve USDA’s rental housing portfolio. Renovation of these developments is particularly important because USDA no longer provides loans for the financing of new rental housing developments in rural America. Richard Price presented first, and discussed where things stand currently on the Hill and with the Administration on addressing the maturing mortgage issue. He identified several challenges facing the portfolio, including the state of Rural Development under the new Administration, and addressing issues related to processing times and the complexity of transfer applications. Tanya Eastwood presented on Greystone’s success in preservation of Section 515 properties. In total, Greystone has purchased 269 Section 515 properties, totaling 10,500 units. The total cost of these preservation projects was $1.3 billion. Greystone’s model is a portfolio approach, where projects across a state are grouped together. This allows a developer to take the fixed cost of preservation deals and spread them across multiple projects, making the cost of a 4 percent Low-Income Housing Tax Credit (LIHTC) deal less expensive than a 9 percent deal. Greystone recently completed a portfolio renovation deal in Florida, which involves 24 properties. This was completed with deferral of Section 515 payments. Sixty-two percent of the units receive rental assistance. After the project was completed, the rent-per-unit decreased an average of $23 a month. Ms. Eastwood emphasized that the portfolio approach not only benefits the tenants by keeping rents affordable, but also spurs economic growth and investment in rural communities, in the form of jobs as well as infrastructure advances (such as new sidewalks or bus stops). David Lipsetz provided insight from both his experience as the Associate Administrator for Rural Housing and Community Facilities at USDA and as the new Executive Director of HAC. In particular, he highlighted the data improvements at USDA. If you are interested in joining NRHC or learning more about the work that we do, please review our membership page and contact audrey@rapoza.org with any questions. Friday, November 17, 2017, the Administration released the third supplemental emergency funding request in response to Hurricanes Harvey, Irma, and Maria, as well as the California wildfires. The White House is requesting an additional $44 billion in Fiscal Year (FY) 2018 for states impacted by the storms and fires, in addition to Federal property repairs. The Administration’s request letter, submitted by Office of Management and Budget Director Mick Mulvaney, identifies five programs/activities to fund. Those programs are traditional disaster relief provided by the Federal Emergency Management Agency (FEMA) and the Small Business Administration (SBA); emergency agricultural assistance; educational recovery fund; funding to repair or replace damaged Federal property and equipment; and the Community Development Block Grant Disaster Recovery program, focused on flood mitigation projects. The Administration does not make a request on funding for any programs administered by the U.S. Department of Agriculture (USDA). The Administration also requests tax relief for families in areas impacted by the wildfires in California, including non-itemized deductions for casualty losses; waiving the current-law requirement that losses exceed 10 percent of adjusted gross income; penalty-free access to retirement funds; disaster-related employment relief; earned income tax credit reporting-year flexibility; and enhancement of charitable giving incentives. These provisions are similar to the tax relief provided in Public Law 115-63, the Disaster Tax Relief and Airport and Airway Extension Act of 2017, to the areas impacted by Hurricanes Harvey, Irma, and Maria. The letter also includes several other requests from the Administration, including the need to reauthorize and reform the National Flood Insurance Program (NFIP), suggestions of offsets, a recommendation to extend the non-defense Joint Committee mandatory sequestration resulting from the 2011 Budget Control Act (BCA), pursuant to Section 251A of the Balanced Budget and Emergency Deficit Control Act of 1985; and additional funding for the Department of Defense (including $4 billion for missile defeat and defense enhancements to counter the threat from North Korea and $1.2 billion in support of the Administration’s South Asia strategy, as well as $1.6 billion for the boarder wall). In a separate document, the Administration outlined their suggested offsets, which total $59 billion and would largely come from extending the sequester. Many of the proposed offsets are reiterations of eliminations or reductions included in the FY 2018 budget request – which Congress has already largely rejected. 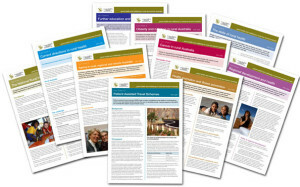 Those offsets include $196 million for Rural Economic Development Grants; $25 million for direct and guaranteed business and industry loans and rural business development grants; $8 million for the Rural Energy Savings Program; and $800 million for the Special Supplemental Nutrition Program for Women, Infants, and Children. Members of Congress are already sounding off on this request. Senate Majority Whip John Cornyn (R-TX) has called the request “wholly inadequate.” Representative John Culberson (R-TX-7), a senior House appropriator, is quoted saying that this request “would sabotage what has been an incredible response by President Trump to Hurricane Harvey up to this point,” and that this request “falls severely short of the bare minimum needed to continue repairing the damage of Hurricane Harvey in Texas in every aspect. OMB’s response to the largest housing disaster, in terms of volume and dollar amount, would be laughable if it wasn’t so serious.” In October, Cornyn and Culberson signed on to the $61 billion request submitted by Texas Governor Greg Abbott for Texas relief funding. Congress has already provided $51.75 billion for disaster recovery since September (P.L. 115-56 and P.L. 115-72). In the case of both of the previous supplemental requests from the Administration, Congress provided additional funding over the requested amount. It is expected that they will do the same in this instance. Congress will likely take up the supplemental after they return from the Thanksgiving recess. We will keep you posted as things move forward.